With the band sharing a similar postcode to the Arctic Monkeys (before they buggered off to America) one would be forgiven for thinking that Sheffield's The Starkins were just aping (not even sorry) their home-town heroes, but whilst they might well have their roots in jangly mid '00s indie, the fact remains that when the aforementioned dropped their debut single in 2005, The Starkins hadn't even started high school. As far as bands go, they don't get much more fresh-faced than The Starkins, though we mean that in the literal sense. For all their youthful exuberance, the band have been together a little under four years, in that time amassing a handful of tracks in a career that belies their relatively young years. The most recent track to be added to their arsenal is 'Paper Cuts', and like each of their singles before it, shows listeners a different side to the band, and marks a notable step up in both production and composition. 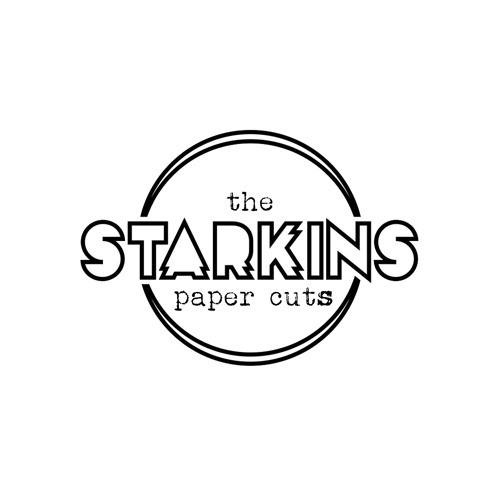 Those of you familiar with The Starkins needn't worry though; the loose guitars haven't been tightened beyond recognition, and the track still harbours the same irresistible pop sensibility that endeared fans to them in the first place. There does seem to be a murmuring of a maturing process taking place however. Is this the sound of The Starkins growing up? Best song to relax to ! Sounds best when played loud!